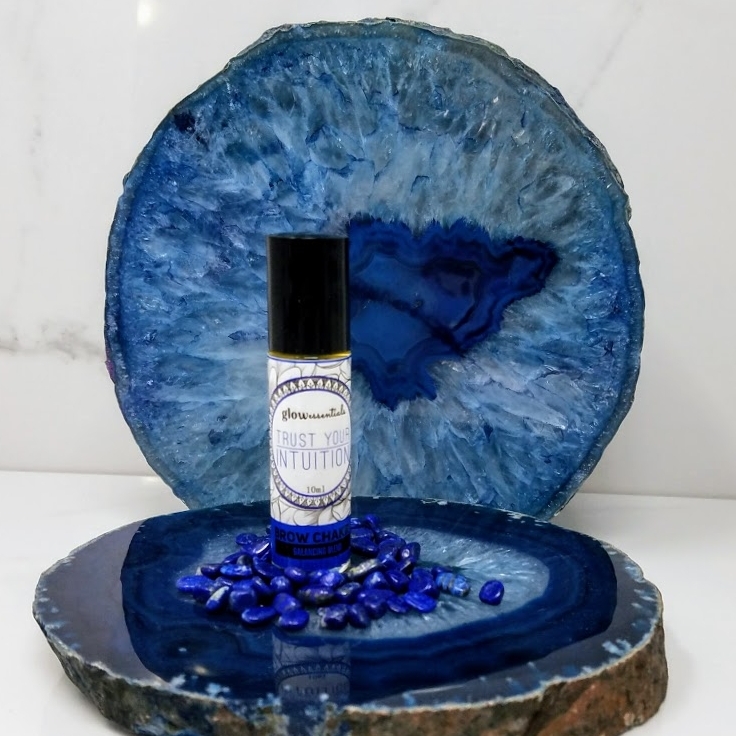 Glow Essentials' Balancing Blends with gemstones are aroma-therapeutic fragrance blends designed to balance energy & mood. This set of 7 fragrances are hand blended with pure, premium organic and wild crafted essential oils which have been sourced from across the globe for quality and therapeutic value. These blends don't just smell amazing, they offer holistic benefits that synthetic perfumes cannot provide. The oils and precious gemstones present in each blend work aroma-therapeutically to support the body, mind & spirit. Every day life presents us with something new, so we created a fragrance collection to support that. Feeling anxious? Get Grounded & Be Calm will help calm your nerves and get your grounded. Feeling drained? Be Courageously Confident will help you feel energized & alert. Feeling unsettled? Keep the Faith & Feel the Love will both help to restore inner peace. We know that the sense of smell is directly wired into the brain and linked to our memories. Smell is sentimental and it is powerful. Just a whiff of something can transport us back to another place and time. Fragrances have the power to shift our mood. Pure essential oils are incredibly effective at this. The essential oils used to create each balancing blend are of the highest quality and have been chosen for their many healing properties. Essential oils can be of great assistance in balancing the body. Each plant's individual chemistry has therapeutic properties which are captured when the essence is distilled. So it is not just the pleasant fragrance that brings us benefit, but also a rich complexity of healing elements, and it is for this reason that essential oils can have profound effects on our body, mind and spirit. they are able to enjoy natural botanical perfumes without issue. This balancing blend is designed to ground and center you when you are feeling stressed, overwhelmed, or mentally exhausted. Featuring wildcrafted Lemongrass & Vetiver, the warm, green, fresh, earthy fragrance is very calming, soothing, centering & stabilizing. This is an excellent blend for easing stress, tension and anxiety and it smells amazing. Re-awaken passion & creative energy. This balancing blend is designed to inspire passion & creativity in your life and reawaken the creative energy within you. Featuring organic Italian Bergamot and Clary Sage, the warm & captivating fragrance is very revitalizing. It really helps to motivate us to take action, be fearless, enjoy life, and have the courage to follow our dreams. The qualities of these oils encourage and support us in our enjoyment and appreciation of life as a creative expression of who we are. Feel strong & confident in yourself and your endeavors. 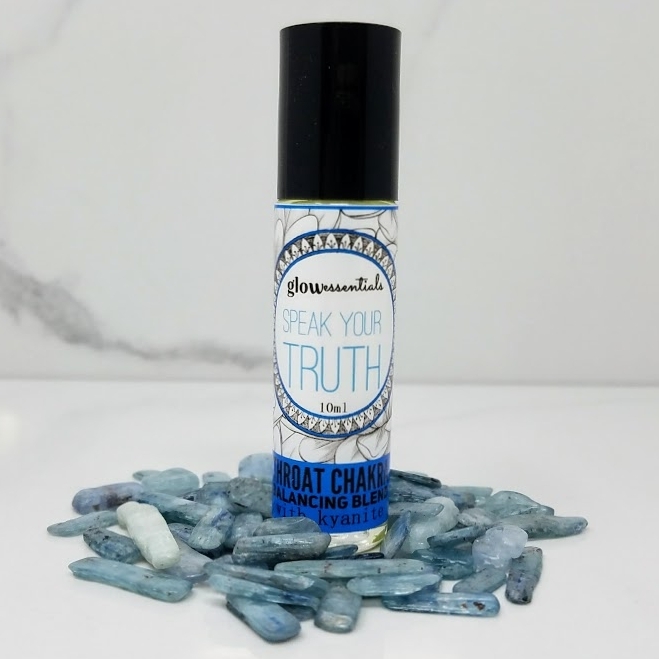 This balancing blend is designed to encourage strength & confidence in yourself and your endeavors. 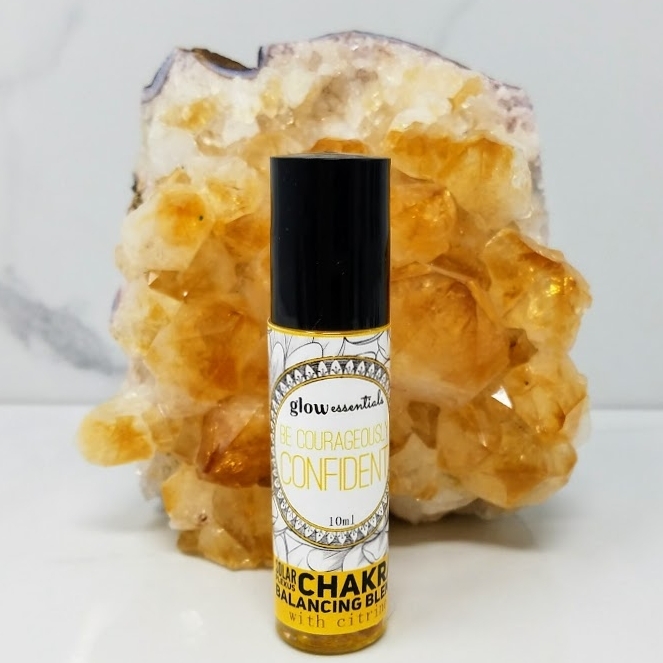 Featuring organic Lemon & Ginger with other citrus and spice oils, this energizing blend helps us feel ready and capable of meeting life’s challenges. Open the heart to giving & receiving love and compassion. This balancing blend is designed to help open your heart to giving and receiving love and compassion. Featuring precious oils such as pure Indian Sandalwood and night blooming Jasmine, this rich & radiant perfume has an exotic floral fragrance with hints of Neroli and slight citrus overtones. The beautiful qualities of the oils all come together to inspire feelings of harmony and encourage acceptance and forgiveness of self and others. 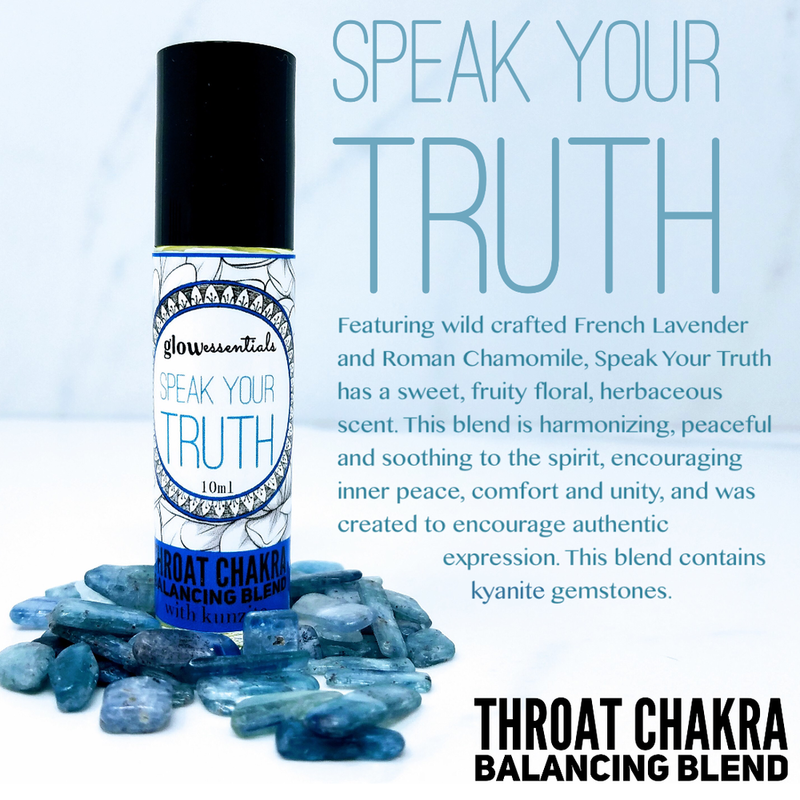 This balancing blend is designed to encourage authentic expression. 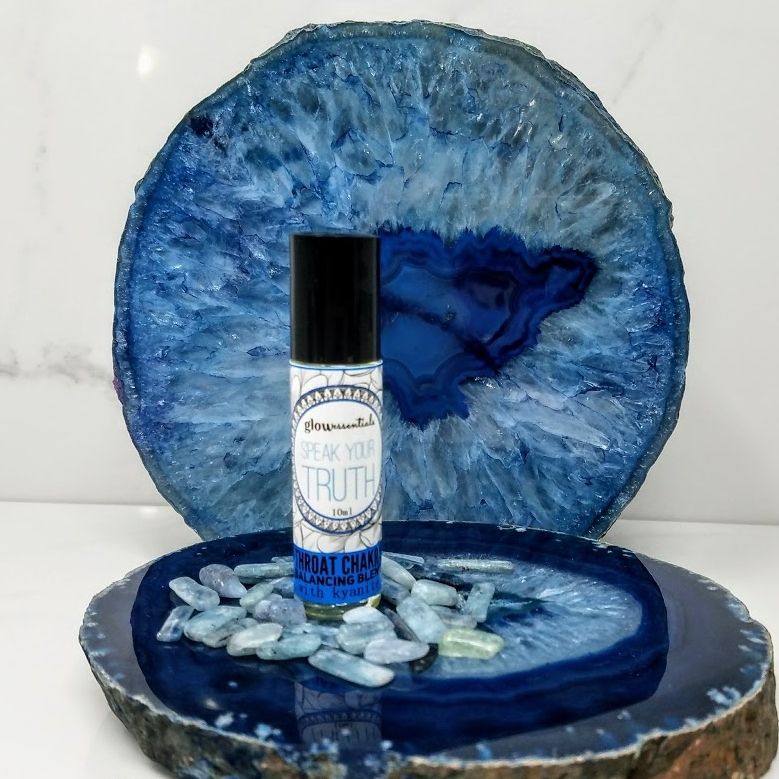 It is a peaceful, soothing blend featuring wild crafted French Lavender and Roman Chamomile, which has a sweet, fruity floral, herbaceous scent. These oils are harmonizing, peaceful and soothing to the spirit, encouraging inner peace, comfort and unity. This perfume was created to encourage authentic expression. Realizing what we have to say is worthy of being expressed and heard, it is important to speak from the heart. 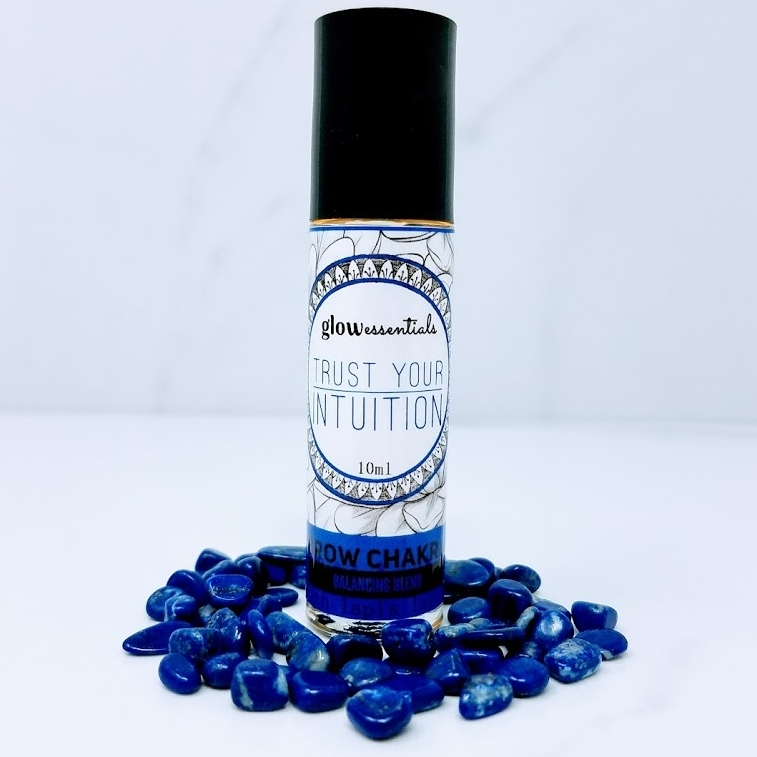 This balancing blend is designed to encourage trust in your inner guidance and increase your conscious awareness, allowing you to rely on the wisdom of your own intuition. This blend has a sweet, warm, balsamic aroma and features Frankincense & Pink Grapefruit with woodsy undertones. 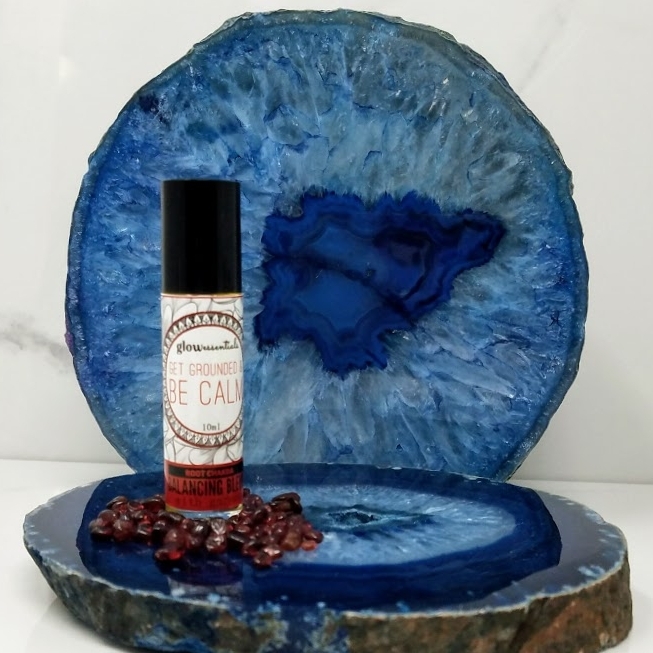 Frankincense has been used for thousands of years in spiritual ceremonies to help center and connect spiritually. Be uplifted, feel joy & peace. This balancing blend is designed to help you rise above it all and re-connect with faith, hope, joy & love. It is designed to inspire feelings of joy and serenity. 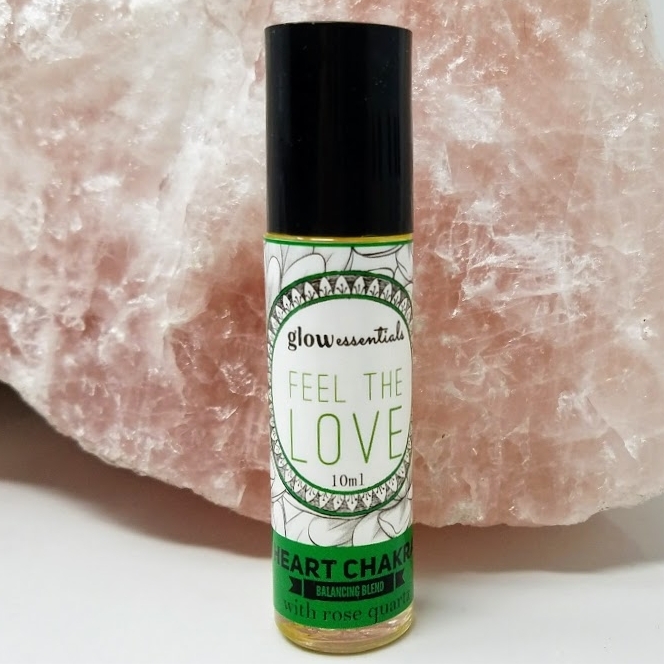 This beautiful spiritual blend features premium oils including Organic Neroli, Ylang Ylang and Vanilla oils for a warm & exotic floral fragrance that is wonderfully uplifting. 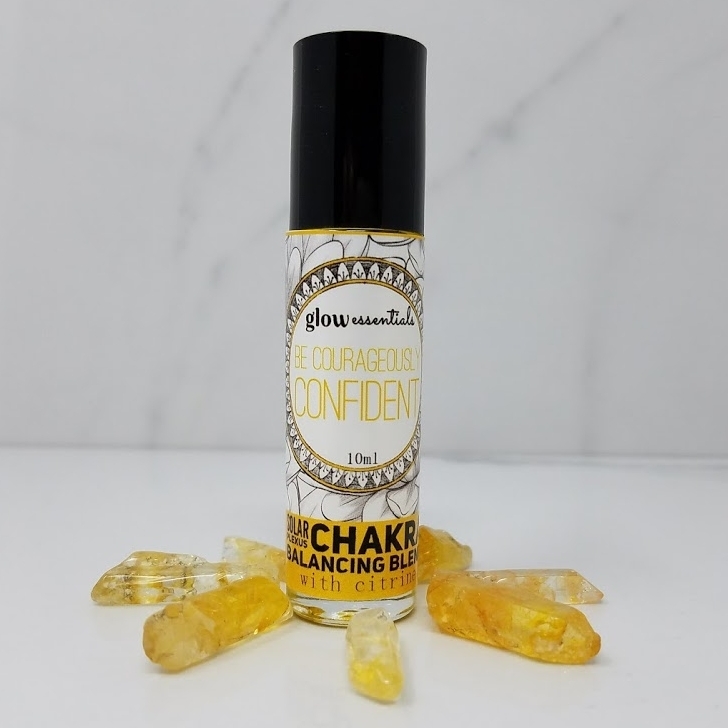 Each 10ml blend comes in an amber or cobalt glass vial with a stainless steel roller ball and is mixed in a blend of organic jojoba & fractionated coconut oil. These blends do not require further dilution.